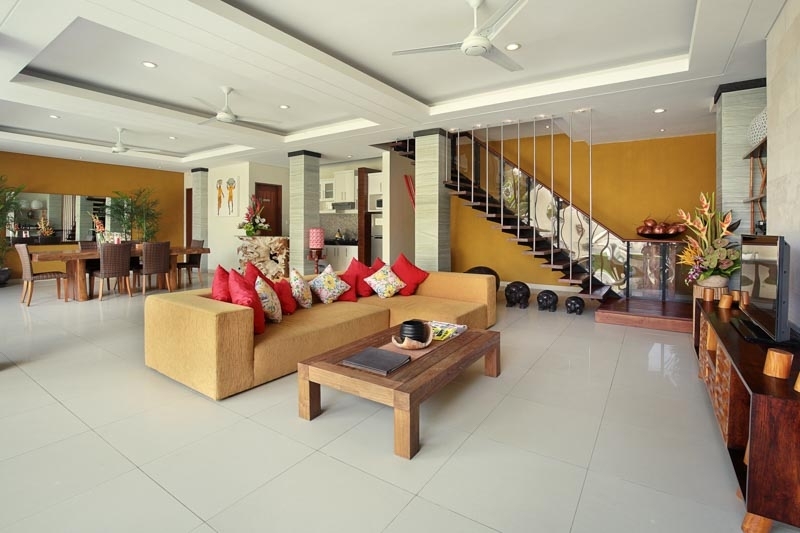 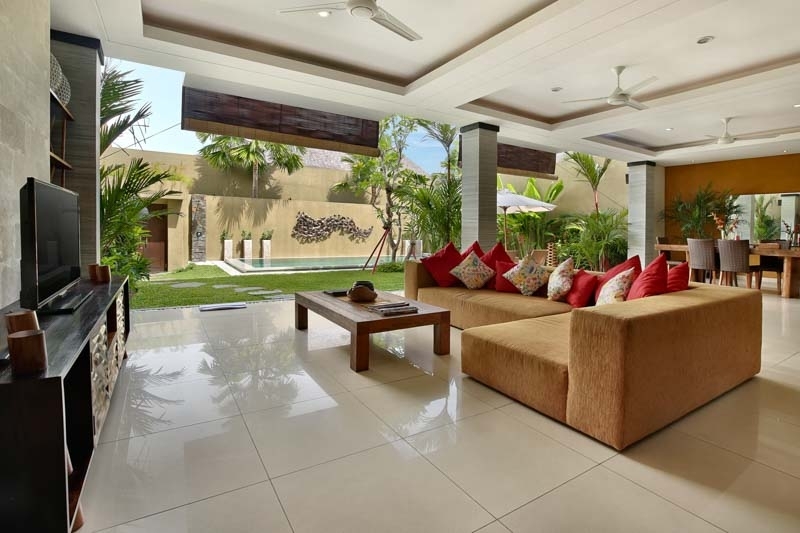 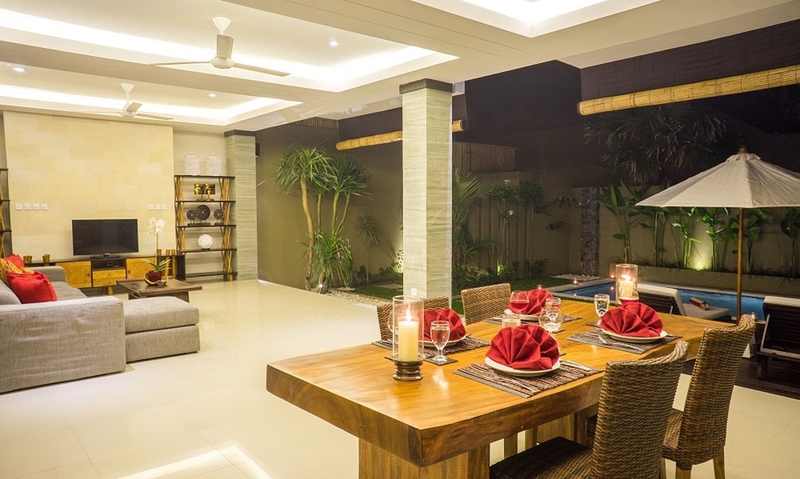 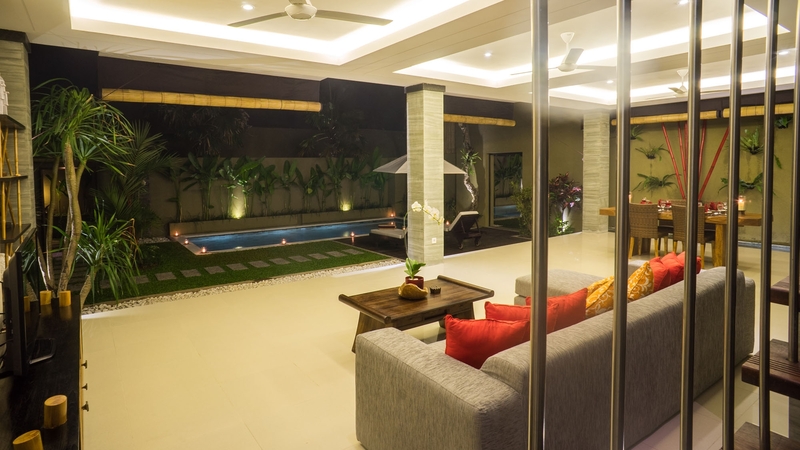 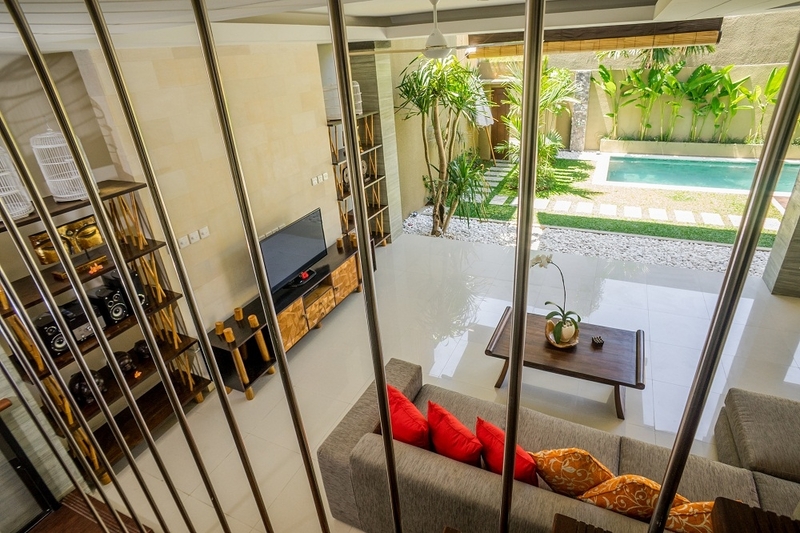 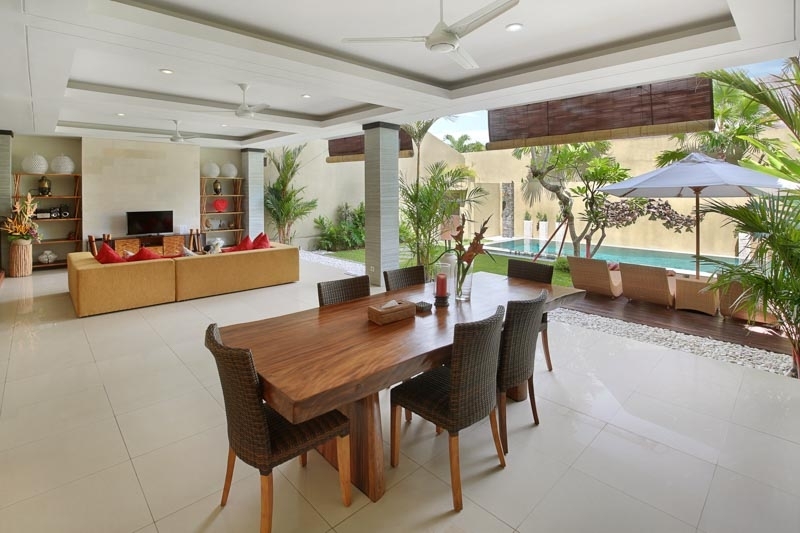 A thoroughly planned and open living room, featuring very big conventional ceiling, large dining and outdoor area in our 2 bedroom Bali villas complemented with entertainment options such flat TVs, high sound stereo system and DVD players. 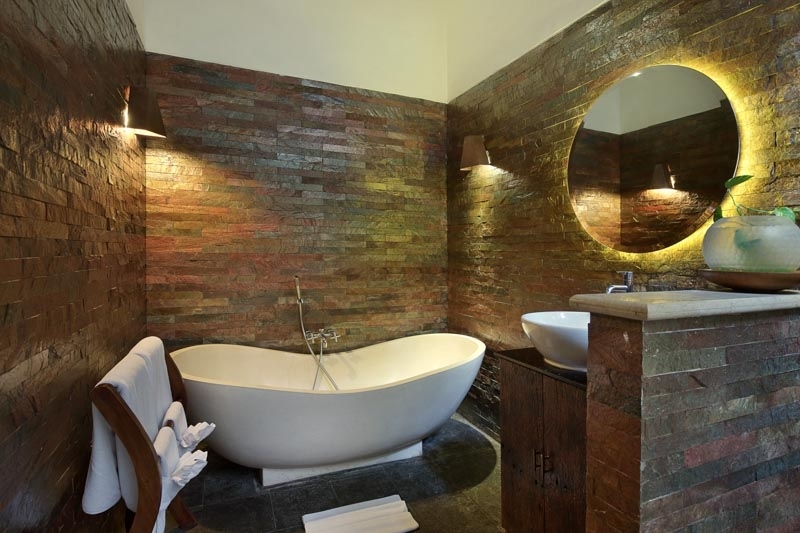 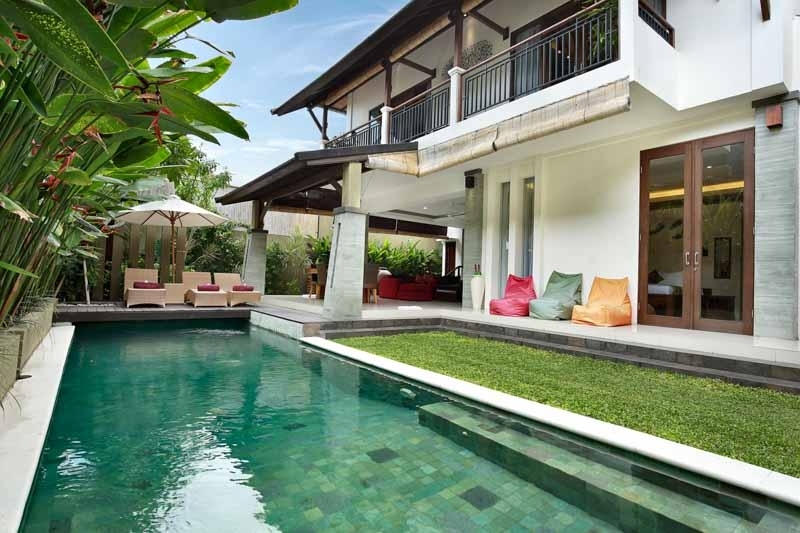 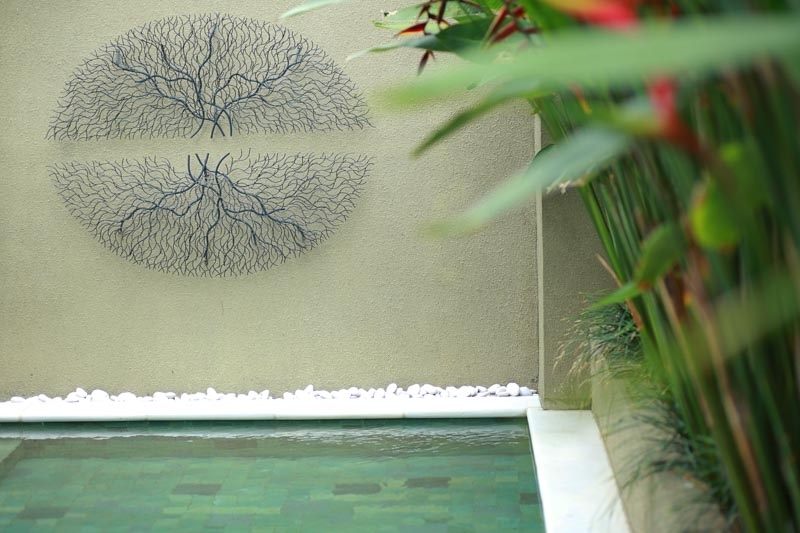 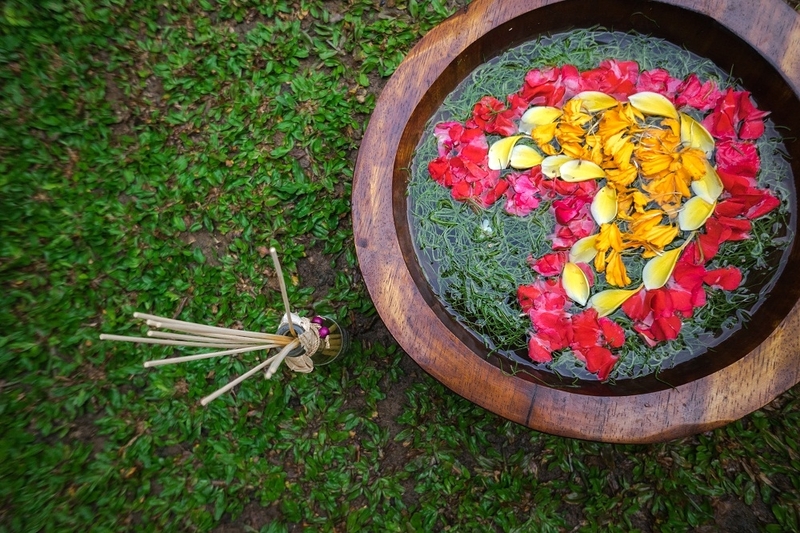 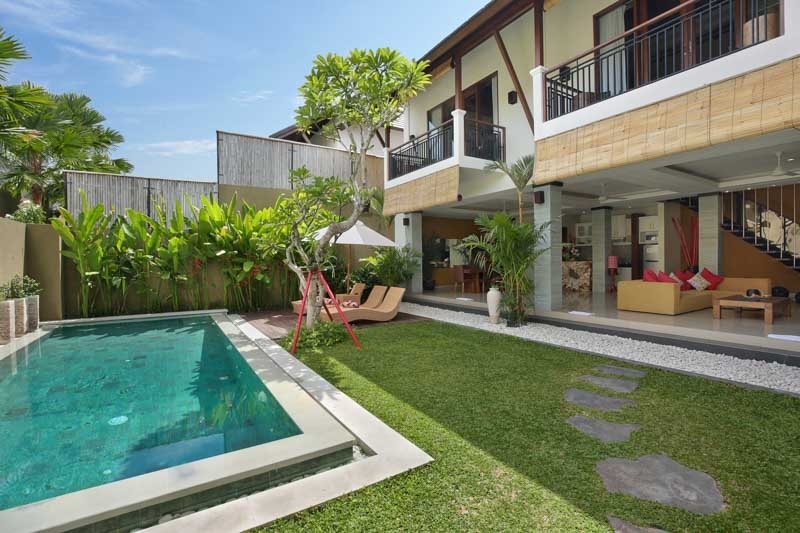 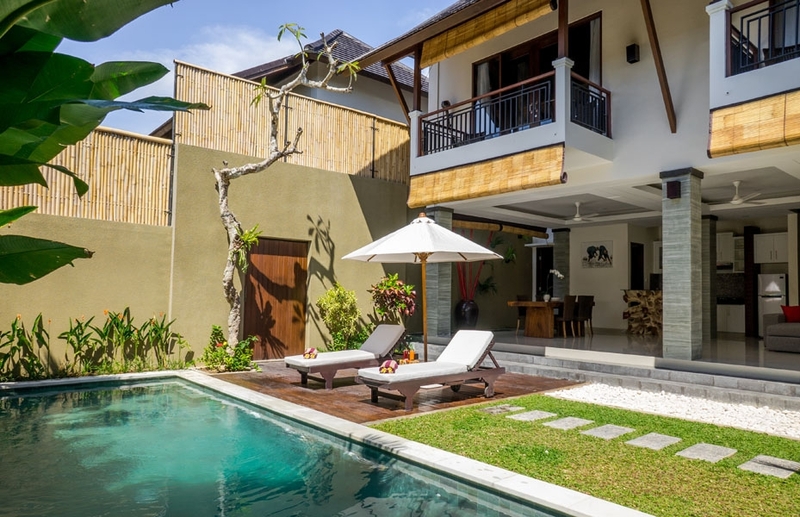 There is full sized private swimming pool in these luxury villas that allows guests to swim length. 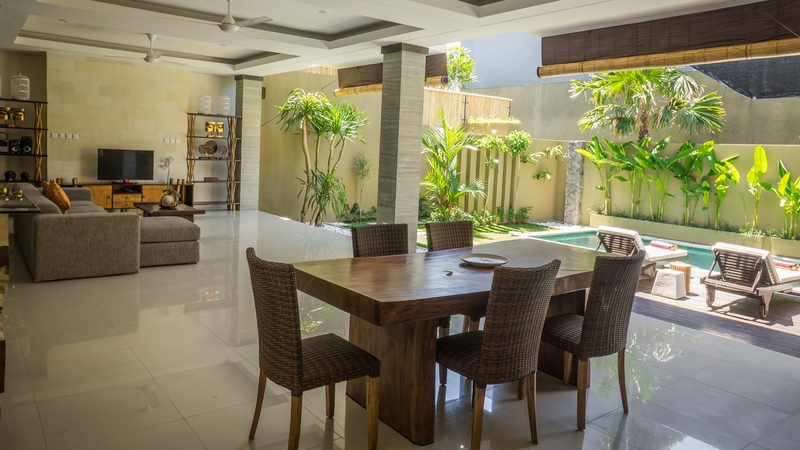 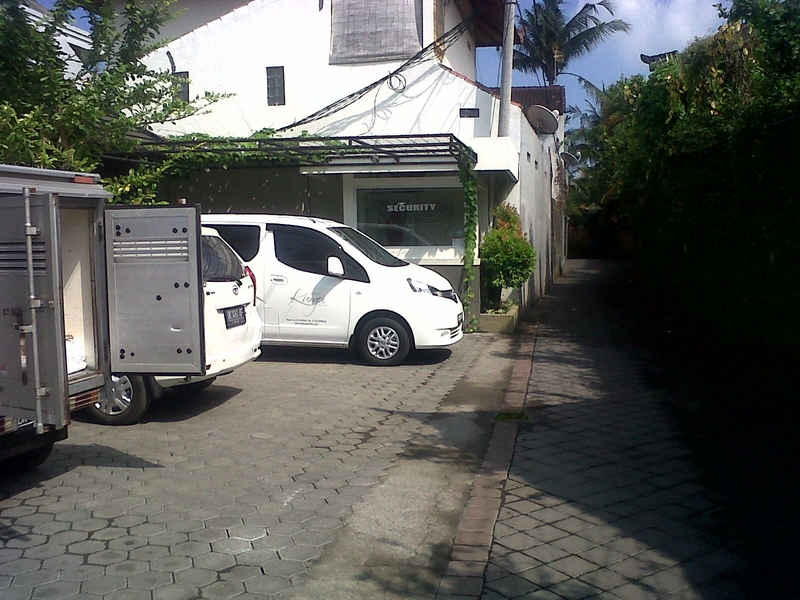 Additionally, fully furnished kitchen and big dining table is available to use during your vacation stay. 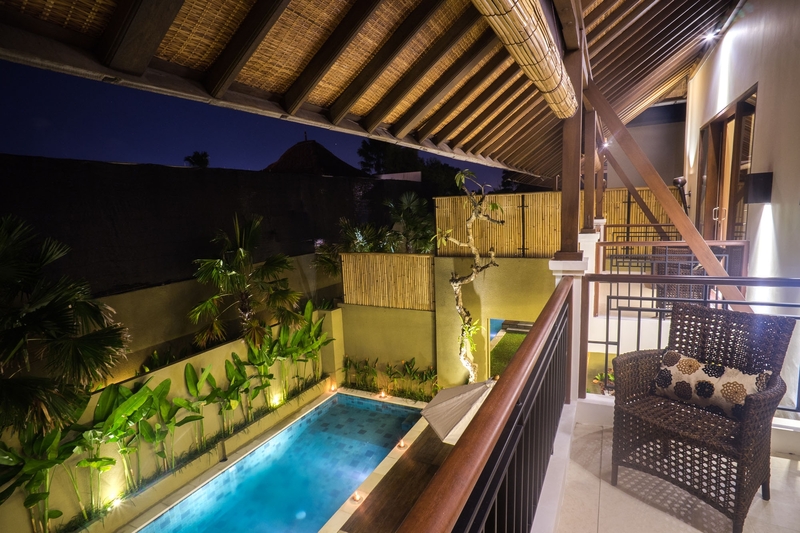 Both the bedrooms are on the top floor and accessibility to stair’s gate can be achieved on demand. 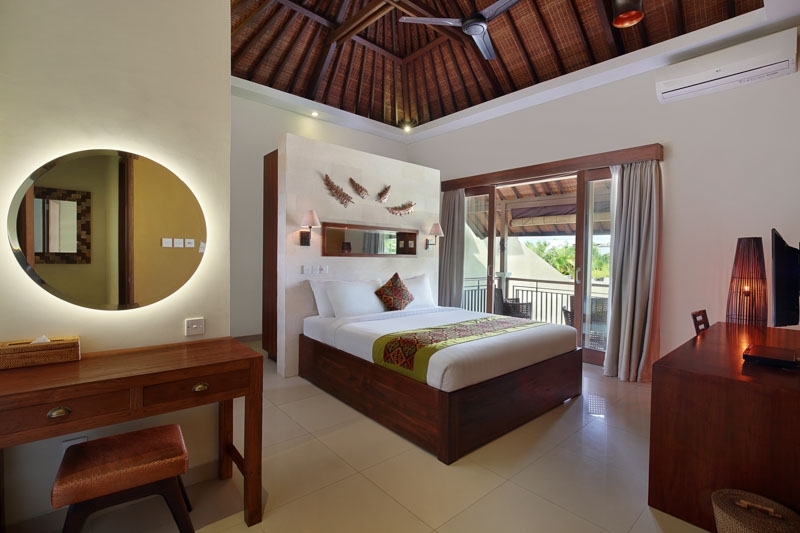 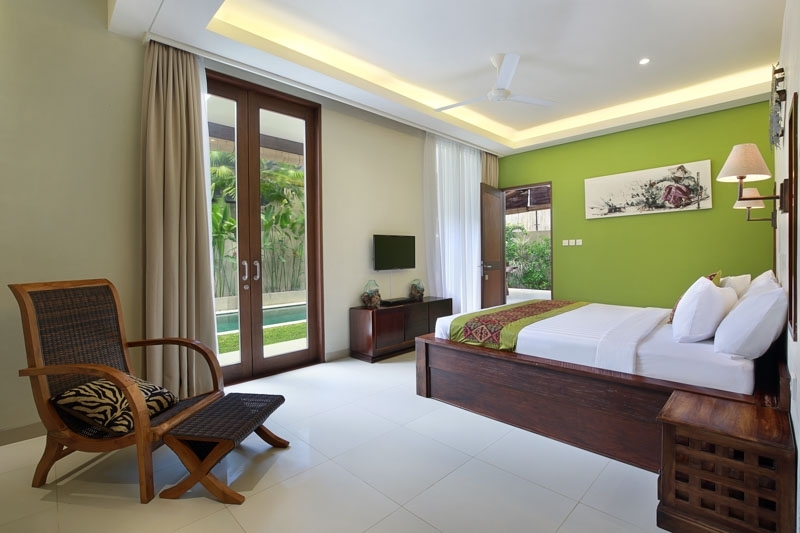 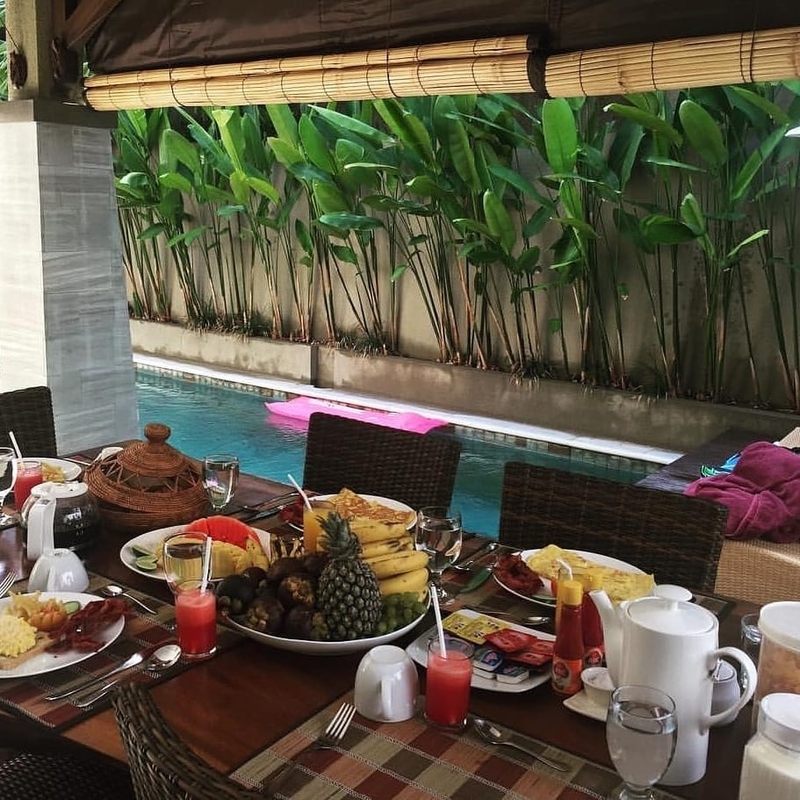 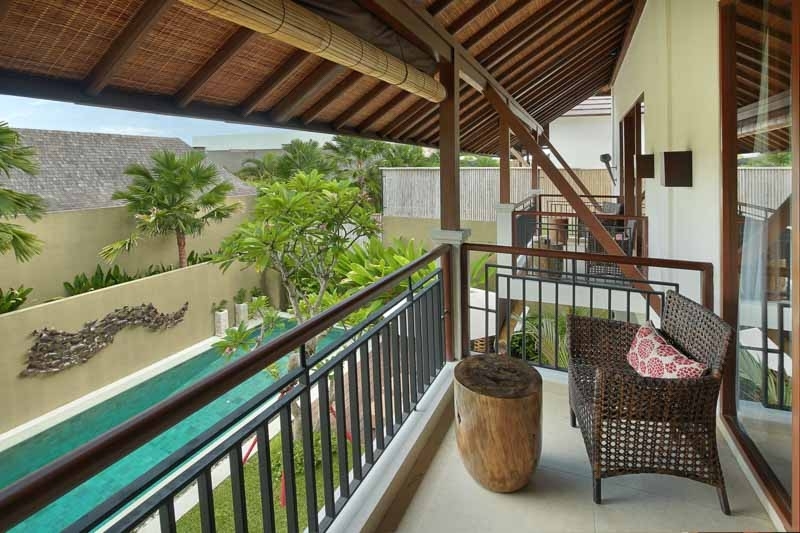 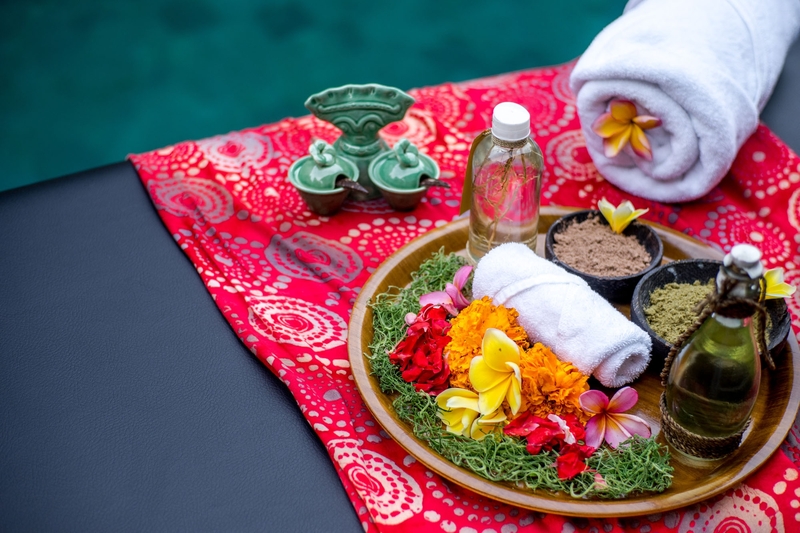 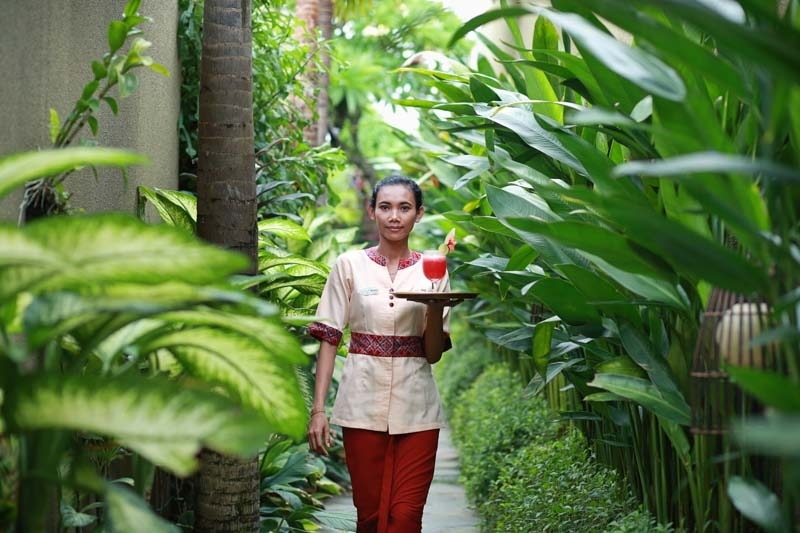 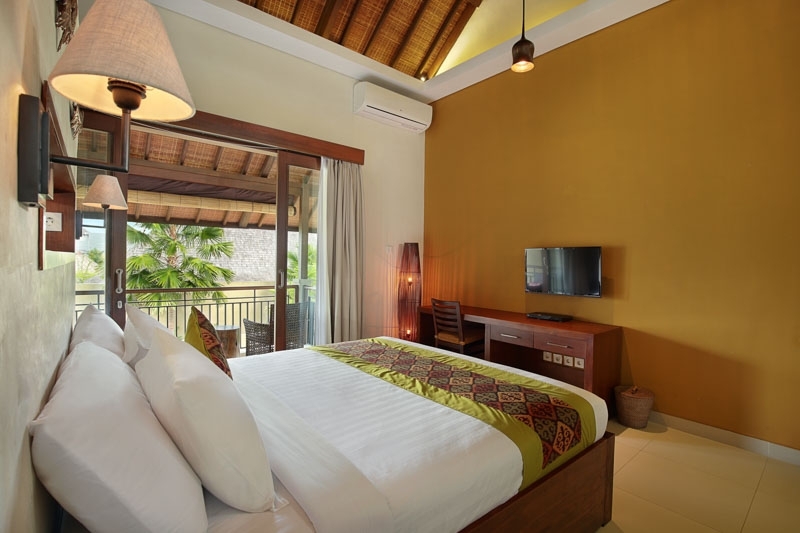 There is separate balcony for each bed room which is available with couple of cozy chairs to provide easy and quick view of the swimming pool and tropical garden from the top level. 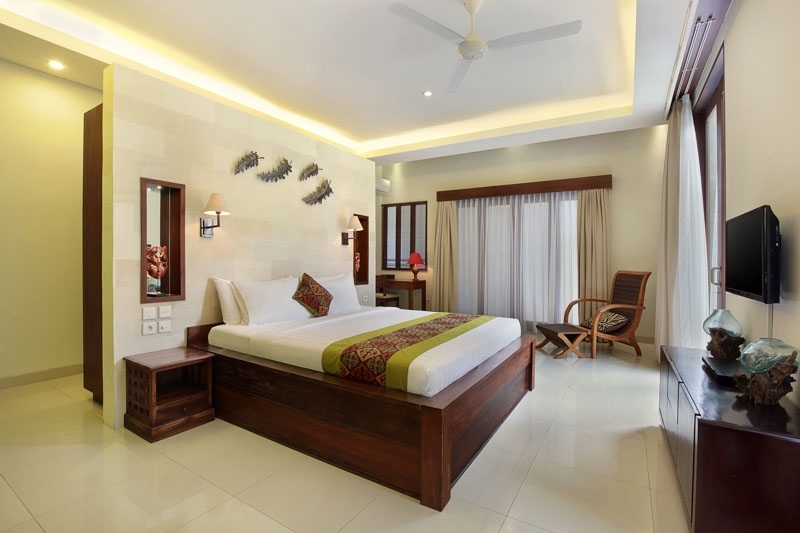 Mini-refrigerator can be found in each bedroom which is air-conditioned and fitted with flat TVs, fan, dressing table, desk, DVD player, wardrobe cabinet, marble floor, en suite bathroom and bath tub.